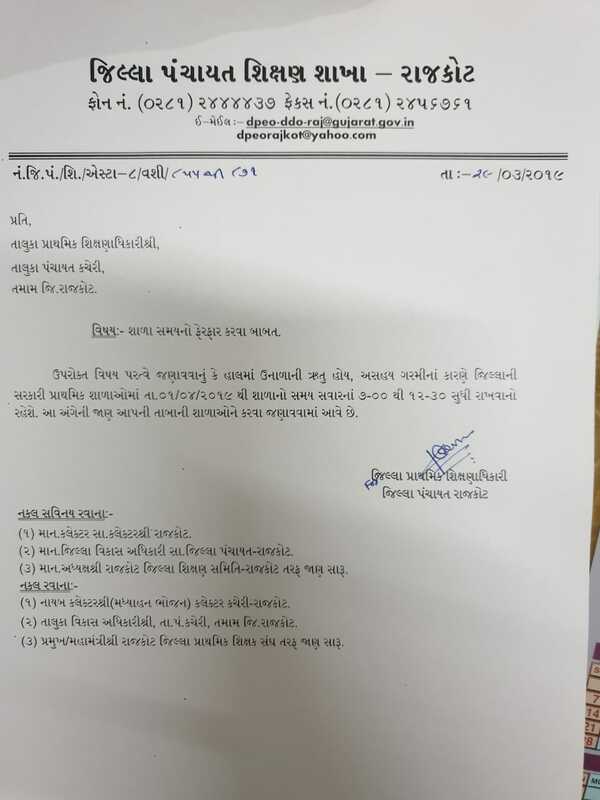 RAJKOT - PRATHMIK SHALA TIME BABAT PARIPATRA DATE- 29-3-2019. ~ :: GujaratGk :: Official Site :: Gujarat's No. 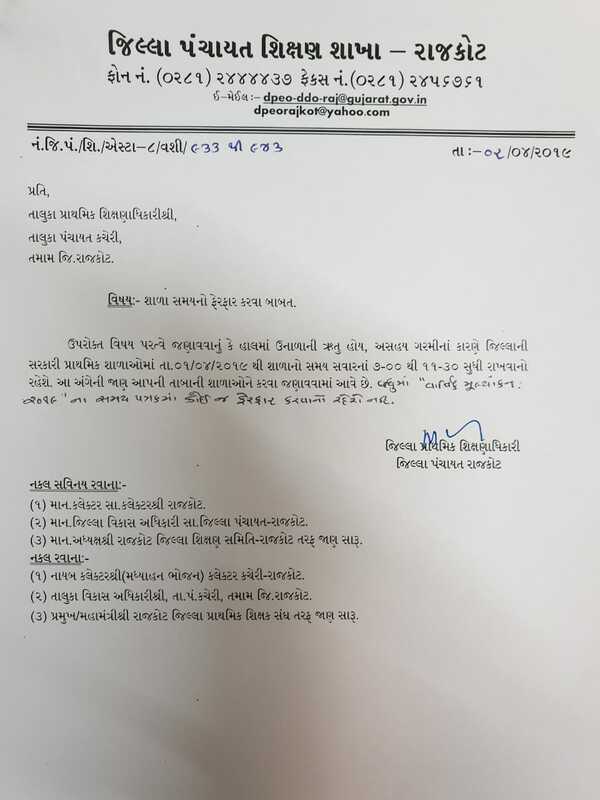 1 Educational Website..
RAJKOT - PRATHMIK SHALA TIME BABAT PARIPATRA DATE- 29-3-2019.